On todays show Marjorie Cohn, Professor Emerita of Law at the Thomas Jefferson School of Law will join us to analyze the first day of confirmation hearings for Donald Trumps Supreme Court nominee Brett Kavanaugh. 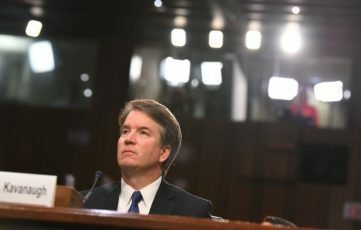 Professor Cohn will examine how Republicans have withheld a majority of information on Kavanaugh, how well Democrats are fighting back against the nomination process, and what is known about Kavanaughs positions through the public record. Then, well speak with R. Laurence Moore, Professor Emeritus of History and American Studies at Cornell University, to discuss his new book Godless Citizens in a Godly Republic: Atheists in American Public Life.